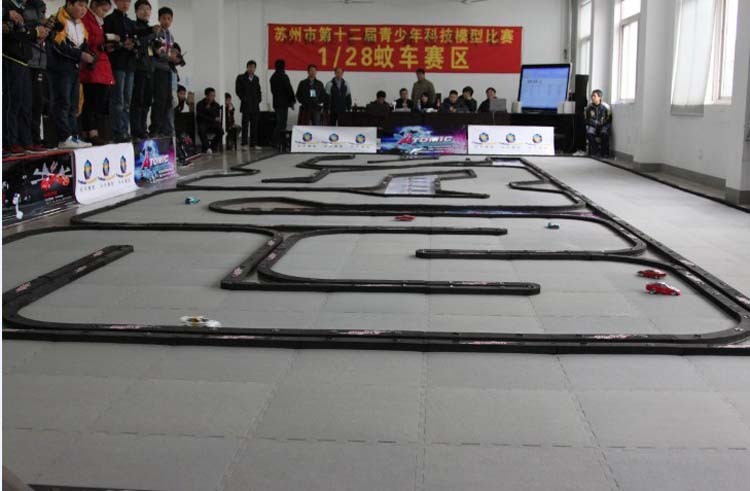 Racing track is designed for professional RC fans. Tracks is made of high quality fibre and EVA. Ground mat is grey, and black color is rail.It makes the car driving more smooth. 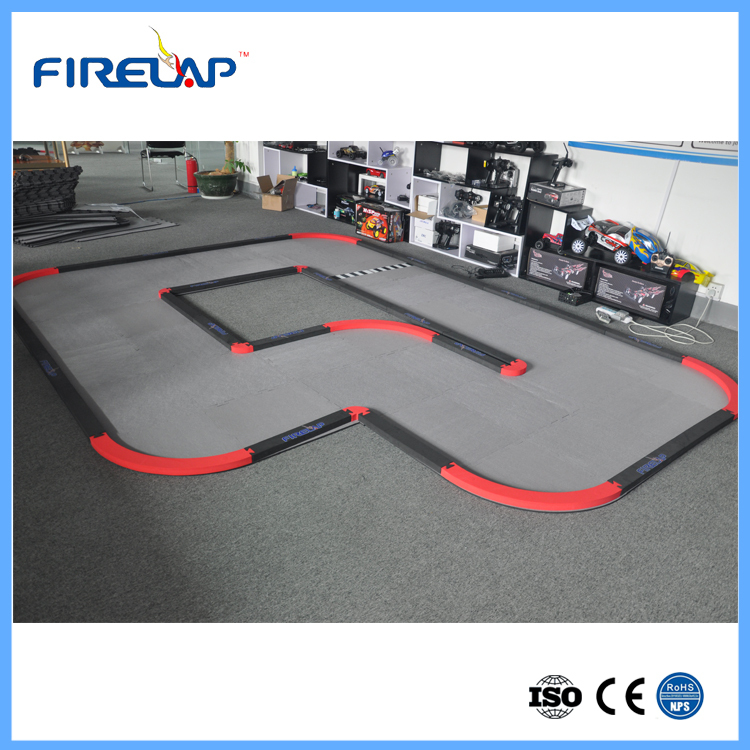 Easy to building your own racing runway. 2.Perfect for winter or all year round racing. 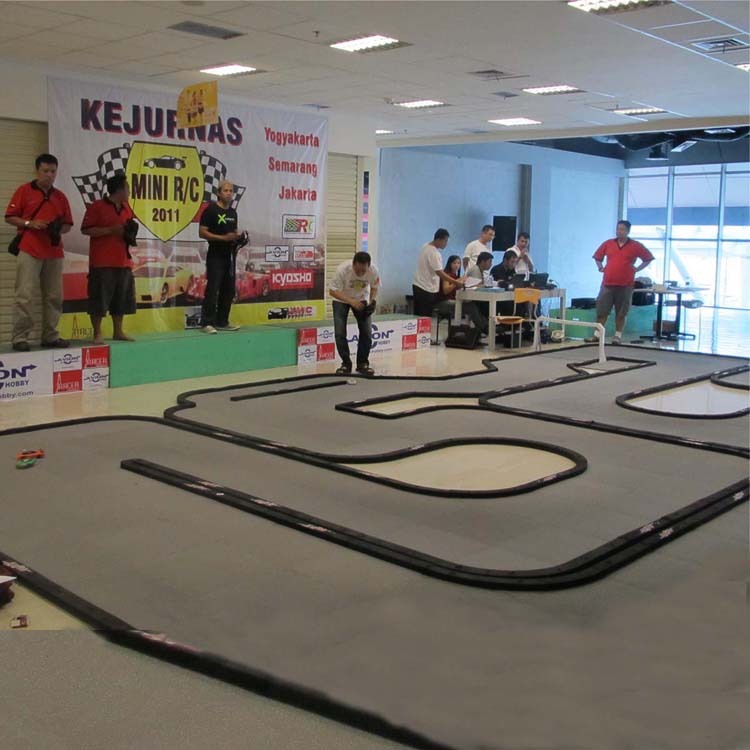 3.Can assemble the track into different layouts in anywhere.